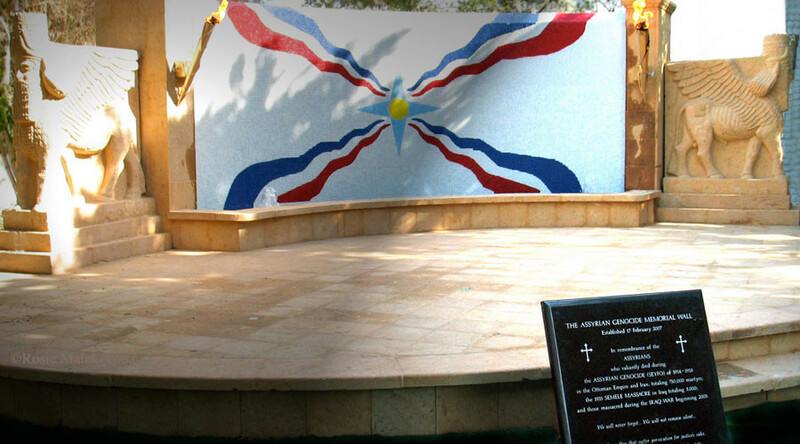 Ahead of Sunday evening’s scheduled broadcast of a documentary titled “Seyfo 1915 – The Assyrian Genocide,” TV4 said it received an email from Turkish embassy press officer Arif Gulen, in which he opposes the film’s use of the term “genocide,” which is often used to describe the tragic death of as many as 275,000 Assyrians at the hands of Ottoman Turks during WWI. His statement provoked a sharp reaction from the broadcaster, which denounced Gulen’s attempt to pressure the channel to cancel its broadcast, and aired the documentary. “We can never accept this. We will protest against any attempt to exert pressure that threatens freedom of expression,” said TV4’s program director, Viveka Hansson, in a statement on the company’s website. Speaking to Expressen, Gulen said that he had “full respect for freedom of expression and for the channel,” but refused to retract his plea to TV4 to withdraw the documentary piece. “These are my feelings. It is their decision. I don’t know if they will change it. They can transmit it, if they want. But I can say what I feel, too,” he said, as cited by Expressen. Hanson said that the message’s polite tone should not deceive the public, pointing out that while “the email is polite, the message cannot be mistaken.” She sees the request as an attempt to prevent a Swedish media outlet from broadcasting an opinion that “the Turkish embassy would not appreciate,” according to Expressen. Swedish MP and Left Party chairman Jonas Sjöstedt also weighed in on the mounting controversy, urging the Swedish government to fend off Turkey’s attack on the national media. “It is unacceptable that the country [Turkey] is seeking to silence media in Sweden and it [the government] must take a hard stance against such actions,” he said, adding that Stockholm should recall its ambassador from Turkey “to make clear that what you are doing in Turkey, which is very bad for the media, you cannot do in Sweden,” according to Expressen. Hansson also pointed out in her statement that the attack on TV4 comes just days after Sweden’s Green Party tried to hush up another Swedish station, SVT, which broadcast a story critical of Sweden’ former housing minister, Mehmet Kaplan, who is a Green Party member of Turkish origin. 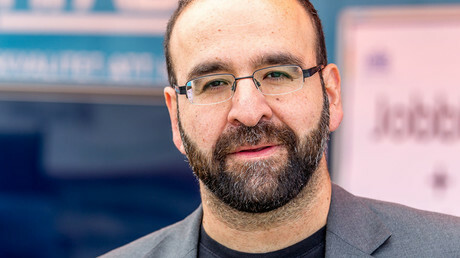 The party’s press officer, Magnus Johansson, reportedly called on SWT to drop the coverage of Kaplan’s case, while offering to provide the station with access to the party’s top bosses for a story on Green Party candidate Yasri Khan, who is under fire for his unwillingness to shake hands with a female host from TV4. “I did not actually believe my ears. I have never seen anything similar from a representative of a political party in Sweden,”said Anders Holmberg, an SVT presenter. — Viveka Hansson (@VivekaHansson) 24 апреля 2016 г. 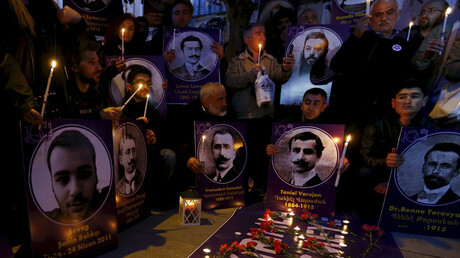 Meanwhile, an orchestra in Germany has accused Turkey of forcing it to change the name of a concert it is scheduled to give on April 30, as well as remove a piece from its program that calls the massacre of Armenians a genocide. The Dresden Symphony orchestra said that Turkey’s delegation to the EU had reportedly asked the European Commission (EC), which is financially supporting the event, to defund the concert and remove its title from the EC’s official website. While the Commission declined to withdraw the €200,000 ($224,500) it had pledged to the musicians, it did remove the announcement of the concert. “Due to concerns raised regarding the wording used in the project description, the Commission temporarily withdrew it,” a spokesperson for the Commission said. “You have to call it what it was,” said the director. “We cannot quibble when it comes to genocide,” he added, as cited by Die Welt. The project premiered in Berlin last year to mark the 100-year anniversary of the atrocities committed by the Ottoman Empire against its Armenian Christian minority in 1915. It is estimated that from 800,000 to 1.5 million Armenians were killed in what Armenians say was an ethnic cleansing for siding with the Russian Empire in WWI and allegedly rebelling against the government of the Ottoman Turks. While admitting that many Armenians were mistreated at the time, Turkey denies the accusations, saying that the number of killings has been exaggerated and that there had been no systematic killings of Armenians qualifying as genocide.